Book: I attended MomCon 2015 with some awesome others like Crystal Paine, Margaret Feinberg, Sherry Surrat, Amena Brown and the amazing Bob Goff. I cannot wait to summarize what awesome stuff I learned this weekend! 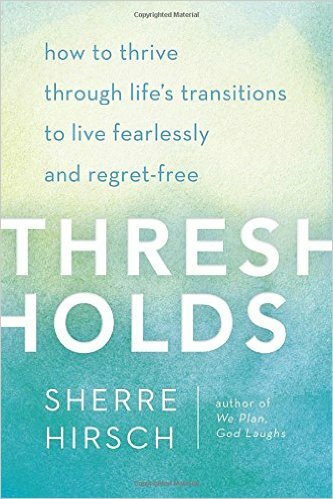 For now, I will introduce and review “Thresholds: How to Thrive through Life’s Transitions to Live Fearlessly and Regret Free” by Sherre Hirsch. The novel fits in perfectly with our theme for the year as well: a Fierce Flourishing, don’t you think? A threshold is a doorway to another room. We all go from room to room at times in our lives – transitioning from one part to the next. Something in our life changes such as moving away to college; or something changes within us like the mom tired of staying at home with the kids and wants to go back to work. Familiar rooms become comfortable. But, we cannot grow without being a little uncomfortable. Sherre Hirsch describes one of the greatest things that holds us back from other “rooms” that might be better – fear. The next room though is never as bad as you think it might be. Living regret free also means letting go of “perfect.” God made the world and called it “very good.” The bible never called it in Genesis as “perfect.” But letting go of perfect allows us to communicate honestly with each other. A room perfect for one person, may not be perfect for us. The goal in life shouldn’t be to find the perfect room – the perfect husband, perfect house, perfect job, etc. The goal is to make the decision that is best for us in that moment knowing it might be different or the opposite of what we might think. The book weaves stories from the bible of Jacob, Moses, and others to support her conclusion. In addition, she draws upon a plethora of people she has counseled over the years to describe and support her assertions. Moses argues with God that he can’t do the job. In Exodus 3-4, Moses doesn’t say “okay.” He argues in fear of failure. One woman is paralyze by failure when she commits to never arguing with her husband. This created a lot of built up resentment and lack of communication. Many other examples throughout the book relate the ideas — like maybe we should spend more time talking about all the bumps in the road rather than the end journey — to us in a personal way. Recipe: Everybody needs this recipe in their back pocket!! The turkey is soooo moist and the gravy tastes fabulous. The scent of rosemary and orange zest together sounds weird, but try it and you’ll love it. Heaven smells like oranges and rosemary I tell you. We love turkey here, but sometimes I don’t have time or want a 18 pound bird to cook. Once in a while, frozen turkey breast will sell for $1.49/pound at the store which is when you want to snag these birds for some great homemade cooking. Most everyone here eats the white meat anyway so might as well make it! This is great for dinner, or if you have leftovers – eat them that week or freeze for later in a ziplock bag. 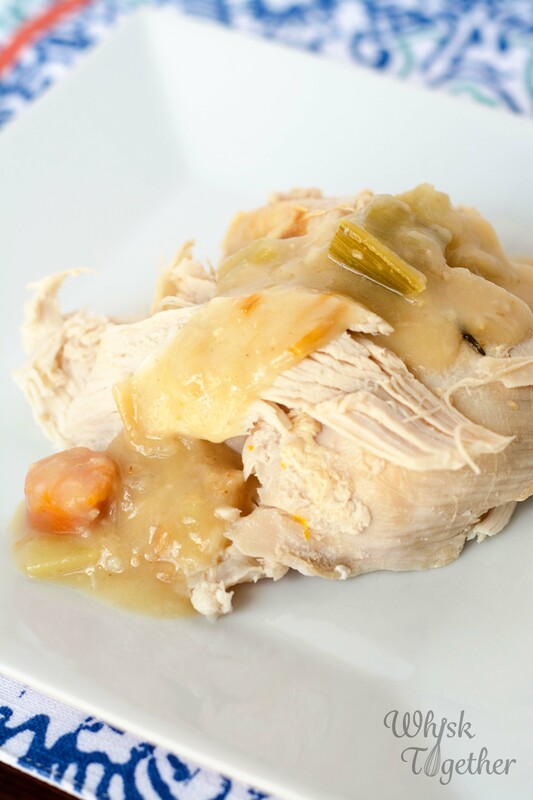 **To make this in a slow cooker, you will need the larger 6 qt. size slow cooker. If you cannot find a 6-7 lb. turkey breast, then it may not fit. When testing a 9 lb. breast, it wouldn’t fit into my slow cooker and had to be roasted in the oven. **Slow cooking will not result in crispy skin on the outside. But, I don’t eat that part anyway. In a large skillet, add 3 Tb. butter and melt. Add veggies (onion, carrot, and celery) and cook 8-10 minutes. Add garlic and cook 30 seconds. Add 1 cup broth. Stir until heated through and not so lumpy. If cooking in slow cooker, add this all to the slow cooker. If not, keep in the skillet and allow to simmer until it reaches the thickness you like. Add the rest of the broth, water, wine, thyme and bay leaves to the slow cooker as well, or to the skillet if roasting. For roasting, simply cool and store in the fridge to heat up later when ready to serve. Mix the 3 garlic cloves, rosemary, orange zest and 4 Tb. of soft butter together in a bowl. Take the orange butter and rub it under the turkey breast skin. Press it in to distribute. 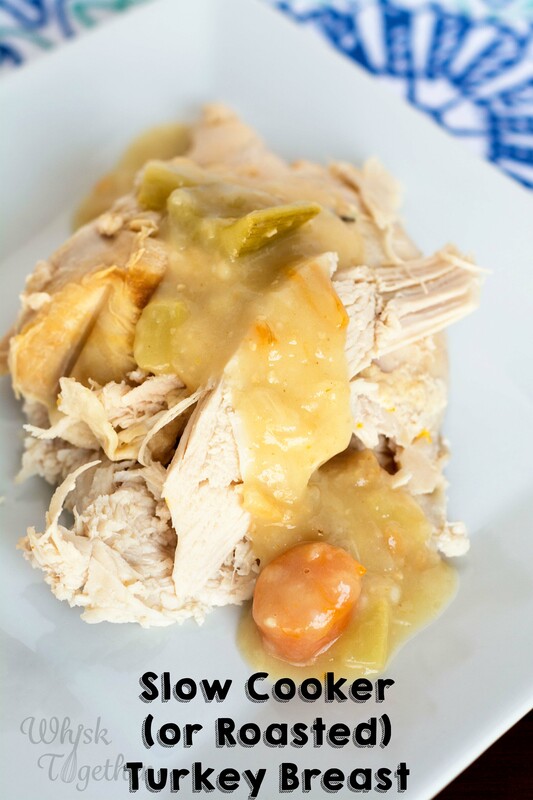 For slow cooker: Add the turkey breast on top of the gravy. It should be skin/breast side up. Cook on low 5-7 hours. Internal temperature should reach 165 degrees. Remove and rest under some foil for 20 minutes. 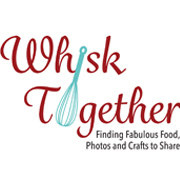 Meanwhile, take the slow cooker drippings/gravy into a pot or skillet. Skim the fat off the top and simmer for 15 minutes or until thickened. Carve turkey and serve with gravy. For roasting: Preheat oven to 425 degrees. Prep a roasting pan and V-rack inside. Place the turkey that has been rubbed with butter skin side/breast side up onto the rack. Pour 1 cup water into the roasting pan and pop it all into the oven. Cook for 30 minutes. Turn the oven down to the 325 degrees and cook about 60 minutes. Internal temperature should be 165 degrees. Remove the turkey from the oven. Rest for 20 minutes under a foil tent. While resting, put the gravy back into the original skillet or a pot and heat. Carve turkey and serve with gravy.